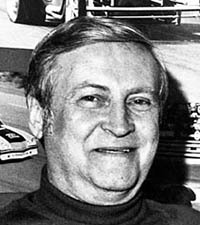 SEMA Hall of Fame - George Foote, 1984, Karbelt Speed & Custom. A love of cars—fast cars—and a desire to improve their performance and appearance inspired George Foote to open and operate Karbelt Speed & Custom, one of Canada’s most popular—and reportedly first—speed equipment emporiums. George also had the foresight to expand the products available to include spark plugs, chrome parts, and offerings from Hurst, Mallory, Offenhauser and Isky, which were among the first product lines. George was awarded the PWA Pioneer Award.